San Diego double board certified plastic surgeon, Tom J. Pousti, MD, F.A.C.S, of Pousti Plastic Surgery, is pleased and excited to be awarded #1 Ranked San Diego Plastic Surgeon for Top Plastic Surgeon Review’s 2018 rankings. San Diego double board certified plastic surgeon, Tom J. Pousti, MD, F.A.C.S, of Pousti Plastic Surgery, is pleased and excited to be awarded #1 Ranked San Diego Plastic Surgeon for Top Plastic Surgeon Review’s 2018 rankings. 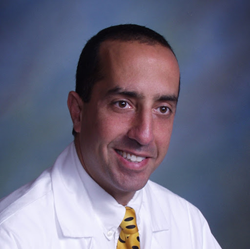 Dr. Pousti was awarded the top position among 73 other San Diego plastic surgeons ranked. Top Plastic Surgeon Reviews offers a rating and ranking platform for San Diego based patients to review surgeons and their performance history when considering cosmetic surgery procedures. The platform assigns calculated “scores” when evaluating together each surgeon’s rating history from other plastic surgery ranking platforms such as Vitals, HealthGrades, RealSelf and Google. This approach taken by Top Plastic Surgeon Reviews offers a very objective approach to surgeon ranking. At the #1 position for San Diego based plastic surgeons, Dr. Tom Pousti has a total “score” of over 8,600, while the next ranked plastic surgeon in the 2nd position has just over 1,800, which demonstrates Dr. Pousti’s long term expertise and commitment to his Practice and his valued patients. As an additional element of credibility, the Top Plastic Surgeon Reviews platform includes only plastic surgeons who are certified by the American Board of Plastic Surgery.